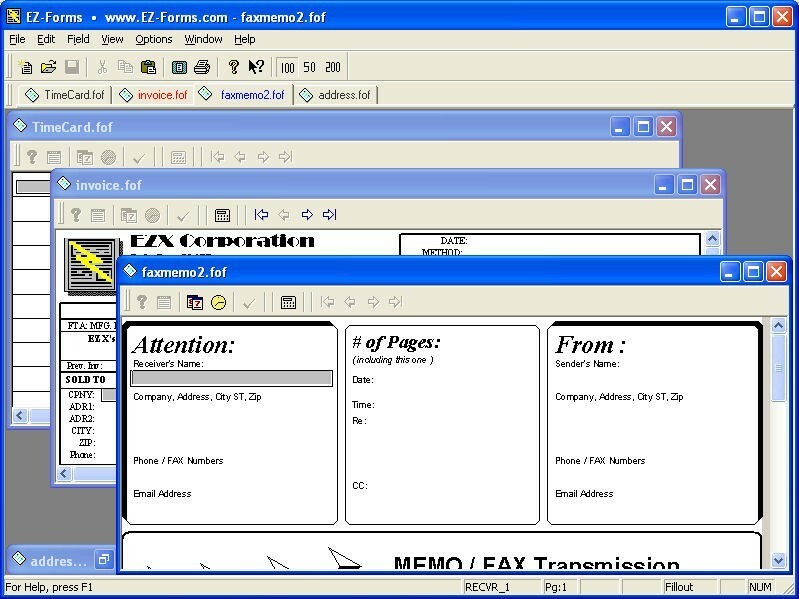 - View, Print, Email, FAX (driver required), eforms (visual electronic forms) created with EZ-Forms PRO Designer. - Now you can simply scan your form into EZ-Forms, add filler fields and you are done! What could be easier?